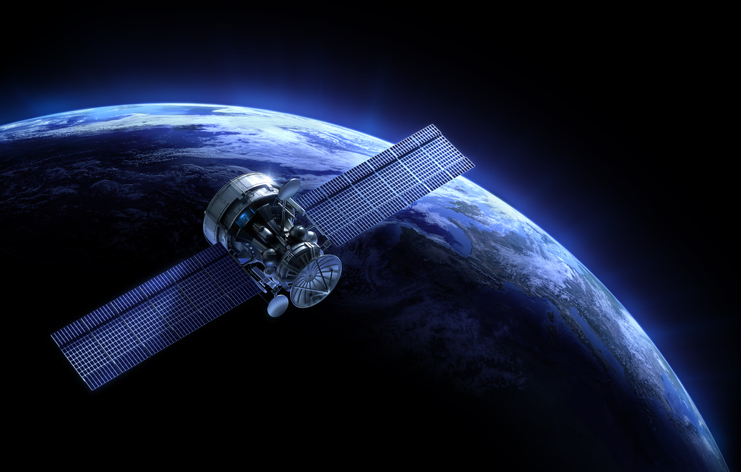 As the nanosatellite and microsatellite industry continues to expand, there is a continuing need to deploy components that output higher power from smaller packages. As power increases, devices typically require more surface area to dissipate the additional waste heat. However, on size and weight sensitive small satellites, this is not a practical solution. Recently a worldwide leader in small satellite technologies faced this challenge of insufficient radiator volume for required component heat dissipation. They sought Advanced Cooling Technologies (ACT) to help them resolve their thermal management challenge. The customer was seeking to use components that put out a tremendous amount of heat relative to systems designed and flown in in the past. Preliminary thermal calculations showed that more radiator surface area than was available was necessary for heat dissipation. Fortunately the components operated on a duty cycle, only operating at full power 10-20% of the time, while dormant the remainder flight orbit. The customer sought the assistance of ACT to utilize the 80-90% off time during orbit and change from an intermittent full power heat dissipation solution to a reduced power, time averaged dissipation solution– thus minimizing the needed radiator surface area. To achieve this, ACT utilized a military and terrestrial flight-proven technology: phase change material (PCM). PCM is a material that, during solid to liquid phase transition, absorbs heat and utilizes the latent heat of the material to store energy during phase change. ACT designed a solution that, while the heat source was operating at full power, the PCM inside the heatsink was transformed from solid to liquid, without increasing the device temperature. The solution was also designed to have thermal resistance that would provide uniform dissipation of the stored heat through the radiator panel over the entire orbit cycle. This made the radiator panel size an order of magnitude smaller, and an acceptable size for their spacecraft. An additional challenge was in the radiator panel itself. Traditional honeycomb-structure radiator panels can have a long lead time to manufacture. ACT designed a simple aluminum sheet metal radiator panel capable of surviving the anticipated launch shock & random vibration profile. However, thin aluminum is not a good mechanism for efficiency in radiation as it doesn’t spread heat in plane very well over long distances; however, increasing the thickness to a needed value would greatly increase mass of the system. ACT utilized a proven spaceflight technology – Aluminum/Ammonia Constant Conductance Heat Pipes (CCHPs) – to both 1) take the heat from the PCM to the radiator panel and 2) to spread the heat across the radiator, providing a high enough efficiency for dissipation of the received heat load. The resulting thermal control system reduced the needed radiator panel surface area by an order of magnitude, reducing mass and providing a feasible solution to implement, reduced radiator panel complexity and cost, provided fully passive thermal control, and required minimal survival power to maintain minimum allowable temperature of the electronics.